From the time we are born, rest becomes a necessity to renew our energy when we feel drained. 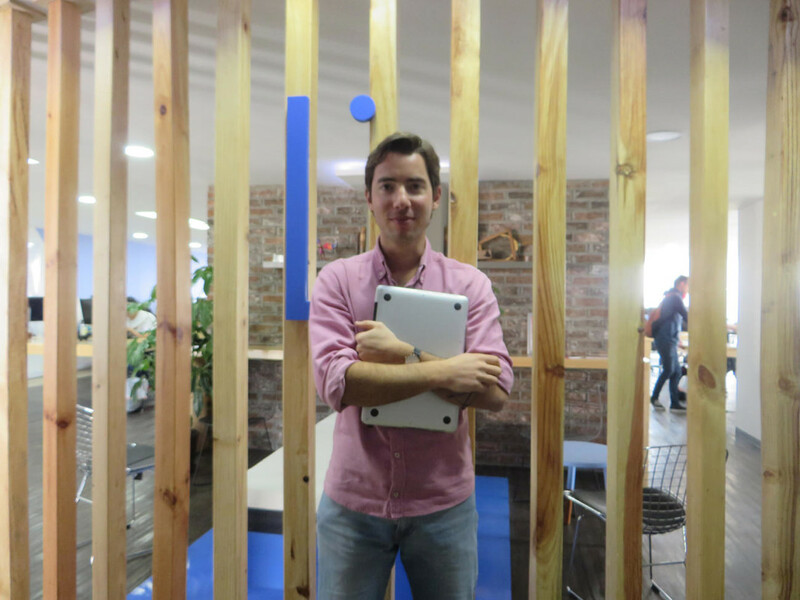 Luuna, a mexican startup, knows this very well, as they specialize in high quality mattresses. It received the Prize for the Best eCommerce Innovator of 2016 during the latest Mexico eAwards. Kolau has interviewed one of its founders, William Kasstan, to know more about this startup, as well as the road the business has taken to achieve this award. Luuna was created in 2015 amongst a market in which there exists misinformation regarding what makes a quality mattress. Its main mission is to continually better themselves through excellent service, and above all else, to help us to appreciate better rest. Today, William is going to tell us about how one of the leading business pioneers in the country was born and how it works, as well as how he sells his product within the mattress industry. William, Luuna received the Prize for the Best eCommerce Innovator of 2016 at the latest Mexico eAwards. What did you do to win this prize? William: Well, I’ll start by telling a bit of our story. Luuna was born in 2015 as a result of problems that we detected existed during the mattress purchasing process. We saw that, when visiting a store, laying on 50 models of different mattresses was not the best experience when selecting a mattress. The stores are physically unattractive and vendors work on commission. Because of this, they aren’t really going to provide good advice regarding the kind of mattress that you need. Luuna offers a better mattress that can be bought right now in Mexico, because of its price-quality ratio (three times better). We offer a 30 day trial. We deliver it within 2 hours if it is in Mexico City; and between 1 to 4 days within the Mexican Republic. We have the best online ratings for mattresses in Mexico. People like the brand that is being offered. Innovation is just that, taking an industry that has existed for over 100 years and changing the way that mattresses are sold and distributed. Changing the branding and the way in which the company relates to clients is also part of this process. We even have clients that take selfies of themselves with their mattresses. This shows us that people are enamored by our brand. So, what can you tell me about what distinguishes your company? William: First, we have to start with how they are made and the value chain. We produce mattresses and we deliver them from the factory to your house, which allows us to avoid intermediaries. Second, we use innovative packing. The mattress is delivered in the form of a taco; we roll it up and put it in a box. In this way, we reduce logistical costs. As far as how we sell them, we do this through aggressive online marketing; we sell 65% of our products this way. We create real connections and emotions with our clients. Because normal people don’t normally get to know the brand behind their mattresses, they are forgotten over time. We strive to change this. I see that you have strong social media presence. How important are these outlets for Luuna and which one works the best for you? William: The strongest one is Facebook. Without Facebook, we wouldn’t be where we are. It’s a very efficient outlet to reach all of the people we want to influence. Utilizing one outlet strategy is cheaper, which allows us to provide tracking information for those that know us through mobile devices. Because the product is bought on a desktop, it’s important to be aware of the whole journey for the consumer; from the moment of first interaction until the last. Adwords, which captures the user right in the moment in which he or she is interested, provides a lot of traffic to our website. We know that this traffic is very expensive, but it’s a traffic of very high quality. We are always in the number 1 position in all of the cities in Mexico. It’s costly but it’s profitable. And yes, Facebook, as well as Instagram, have been very useful tools to show a different side to a mattress brand. We are trying to be completely different, and do much more within lifestyle products. Other than the publicity that you are telling me about, do you use any other media? William: Yes, we have two brick-and-mortar stores, one in Masaryk and one in Santa Fe, in Mexico CIty. We do some small things offline on buses, but we have every intention of starting on television this year. It’s a higher cost media, and much less measurable. We are investigating what the best way to go about this will be, which channels, which schedules, etc. We also have a referral platform as Uber does. If you talk about us, and you give someone your link, they will receive a 500 pesos coupon and, at the time of their purchase, you will receive 500 pesos in cash. This is also a great way to expand our reach. Of these various methods, which attracts the greatest clientele? William: Facebook, without a doubt. Other than your online store, I see that you have stores in Mexico City. Has this made it possible to increase your sales? William: It increases sales, not only in the brick-and-mortar stores but online as well, because people see that we are physically present in Masaryk and in Santa Fe. This presence gives us greater credibility and people feel more comfortable when buying in this manner; to be able to go to a store and try it out. A lot of people, after seeing our store, think about it and go to look at other stores as well. In the end, they decide based on that comparison. What we do see is that stores are extremely important in Mexico to close the gap between the online and offline interaction. Although the eCommerce side of business is growing exponentially, 97% of products are sold offline, so we see that as a critical necessity. Within Facebook, you can measure who has seen you, who has bought from your store, and we can work to close the gap between the online and offline world in this way. We are the only ones in Mexico doing this in this manner. So you would say that in the market here in Mexico, it’s important for people to go to the store and physically see the product before jumping in and making a purchase? William: Not for everyone, no, because we didn’t have a brick-and-mortar store at one point and we were able to reach people who are accustomed to online shopping. However, that limited us a lot, especially when working to reach people who did not live in Mexico City. Because of this, I consider that the combination between the two outlets is essential. The idea of combining our efforts between the online and offline worlds is a very good one. Also, regarding the 30 day trial, if they don’t like it, they can return it? William: Yes, the idea is that the purchase be risk free and this says that we are confident in the quality that we offer. This is important for us to improve the buying experience, and that we can be the only ones to offer it this way. In truth, very few people return the mattress, but it’s something that we like to offer so that people can feel comfortable in their purchase. How do you think that eCommerce is affecting the mattress industry? William: For now, we are still just drops in a sea of what is the eCommerce mattress industry, but what has allowed us to advance is the use of social media and performance marketing, which has made it possible to create a strong brand in record time. Our competition has 50 years of experience in the industry and much more money invested in marketing. Our brand is more well-known than Spring Air, for example, but we are going faster than they are and we are behind them. In two years, we will be the renowned brand throughout the country. We are already the top brand in Mexico City and other urban areas. Furthermore, we are known throughout the portion of the population that already buys products online and is accustomed to doing so. We are now setting our sights on the more traditional marketing methods. What other strategies do you use to retain your clients? William: Well, once a client buys our product, that is not the end of our relationship with them. We stay engaged with them through emails and we will soon have new products such as dog beds, pillows, and sheets. We expect that a lot of them will also buy these products, above all, because of the highly satisfactory result they have had with the mattress. It’s a way of increasing the lifetime value that our clients hold within the company. Our clients serve a crucial role with their referrals. They can continue to interact with others regarding our brand and earn money, helping us to expand our voice. The client is key and extremely important to us. What advice could you give to a startup that is in the beginning stages? William: I think that the first thing to look at is the concept; we are not revolutionizing anything, we are simply providing innovative ideas within an industry and a market that already exists, since everyone has this product. We are providing innovation within the product itself and the way in which it is introduced and delivered to the consumer. We haven’t created a new market, and this is beneficial for Luuna. There is a designated need for our product and our business model is working. We are creating a great product and it is selling. So, personally, I like this business model more, because it is focused more around the sale of products than it is on services. Services have a different complexity and it is also difficult to be cost-effective when you have such a small profit margin within those services. I would first focus on the business model I am creating, and then form a spectacular team. We are 4 founders, all very complementary to each other, and I am focused within the marketing aspect of our business. Before this, I worked for Amazon and Linio, doing exactly this type of marketing for the home products category. My associate, Guillermo, for example, is in charge of all of the operations, and previously handled operations for P&G. Laurène oversees the finances of the business, and previously worked in an investment bank and as a consultant for McKinsey. Carlos also worked at Walmart and Linio. We are a team that already has experience in this sector, and this helps us to divvy up the tasks so that each person can focus on their specialty. It’s rare that a company is founded by more than 2 or 3 people; but in our case it’s advantageous, as we are able to get the full benefits from each area. I would also focus on looking at whether the business model is scalable, or in other words, if I can believe that it will grow in a rapid manner without becoming overly complex. We can produce 1000 mattresses between one day and the next. This provides us with the confidence to focus on other things, and not simply the production of mattresses. We can be very big and very fast if we want to, without additional costs. I think that right now is a great time to be an entrepreneur in Mexico, as there are various startups that have begun recently and there is much more money within the Venture Capital Funds than there was in the past; it has become much more professional. The public is realizing that entrepreneurship in Mexico can become something very big. The INADEM (National Enterprising Institute) and the Government can also help you, and although the Mexican laws may not be the best, it was voted as the best Latin American country in which to start a business, so optimal conditions exist to begin a business in Mexico.